Hivos, as part of its citizen-driven city initiative, is now implementing urban-focused pilot projects across the globe. One of the pilots named “Occupy Your City!” will take place in Depok, Indonesia centering on urban public spaces for youth. In the recent years, Depok is getting positive recognition for developing many public spaces such as city park. Communities are allowed to conduct their activities in those public spaces, including the youth group. Currently there is a high pocket of creative youth communities ranging from crafting to hacker/coder group in the city. However, the current initial research shows that the utilization of public spaces is not right on target and that the current planned space has not yet included strong youth involvement. Another trend blossoming in the city is the emergence of co-working space that plays the important role of being the hub for youth to collaborate and evolve. Yet most are still privately owned and managed in which people have to either pay to use these spaces and enjoy its benefits. The overall objective of the project is to test the assumptions and create a platform in a number of areas within Depok (and maybe later Jakarta) in which the local youth is given the space to talk about public spaces in their neighborhood. To attain the objective, researches and multi-stakeholder workshops will be conducted. Participants of the workshops will include representatives from local government, civil society, community organisations, the private sector, youth-based enterprises, youth movements and women’s organisations, amongst others. A well-organised mapping and engagement process will be critical for the effectiveness of the project. For this purpose, Hivos wishes to commission a project coordinator to lead the pilot project with a scope of work as specified below. Create and manage periodically the database of relevant stakeholders. Conduct asset mapping of relevant stakeholders (communities, government, coworking space groups, private sector etc), existing public space and the current utilization as well as relevant public policy/regulations on public spaces in Depok. Organize and facilitate meetings between selected stakeholders, including but not limited to relevant city government representatives, youth communities, local CSOs, youth-based enterprises, local formal and informal leaders, research institutions and media. This includes logistics, venue, invitations and so on. In cooperation with Hivos, design a brief action plan for the pilot project based on the result of asset mapping report. Manage an action research activity in coordination with a research institution that will be selected together with Hivos. Organize a multi-stakeholder forum attended by relevant identified stakeholders. This includes logistics, venue, invitations and so on. 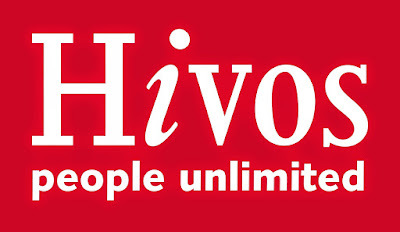 In cooperation with Hivos, recruit the meeting facilitator(s) for the multi-stakeholder forum. At the end of project, deliver a presentation of the final report in a workshop attended by Hivos staff. In cooperation with Hivos, partner with mass media and publicize the pilot project. This budget will be decided together with Hivos. Actively promote the project activities and results through social media platform and events. Report of asset mapping (including database, policy on youth and public spaces in Depok), action research, and action plan. Final report that includes result, early-stage prototyping and recommendations. The consultant will work 4 days a week for 4 months (October 2017 – January 2018). Depok-based, or very familiar with the Depok environment. Experience in policy advocacy or in leading citizen-driven rights movements (does not have to be related to youth or urban setting). The ability to communicate with, connect, and motivate diverse groups. Interested in youth and urban issues. Extensive network of contacts in local government, youth-based enterprises, civil society, community organisations, artists, activists, youth movements, journalists, women’s organisations particularly in Depok. A practical, result-driven attitude towards obtaining positive change. To apply for this consultancy position please submit your CV, a cover letter including your daily rate fee to: qregar@hivos.org and spaath@hivos.org, no later than 8 September 2017, with email subject: Project Coordinator CDC. Only shortlisted candidates will be notified.